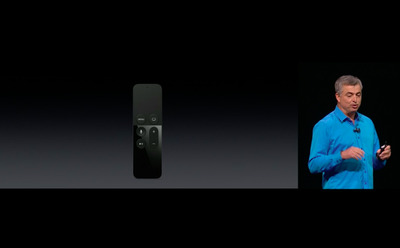 Last year, Apple introduced brand-new Apple TV hardware. This year, it’s all about the new software. When Apple released the fourth-generation Apple TV, it came with a new operating system called tvOS, an App Store for tvOS apps, and a host of new ways to connect to your screen using the new Siri remote control, which lets you navigate your Apple TV using your voice or the touchpad that’s right on the remote. 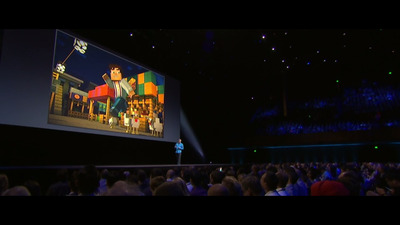 At its WWDC keynote on Monday, Apple showed off a ton of new features coming soon to the Apple TV. Take a look. 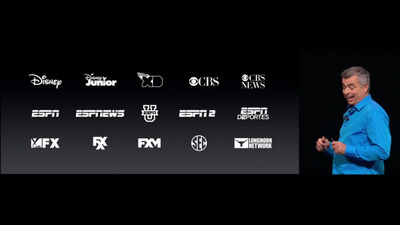 First, Apple announced some new apps coming to the Apple TV, including Sling TV, which has a great selection of live cable channels. It's a great alternative for cord-cutters. 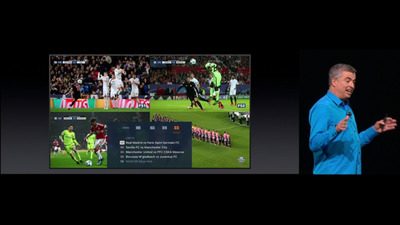 Apple really focused on apps that have live TV and sports, trying to advertise the device as a cable TV replacement. Typical cable boxes can't handle gaming, but the Apple TV can. NBA 2K and Minecraft Story Mode are both coming to the Apple TV, among other titles. As for actual features coming to the Apple TV, here's a nifty one: Your iPhone will soon be able to do all of the things the new Siri remote can do. 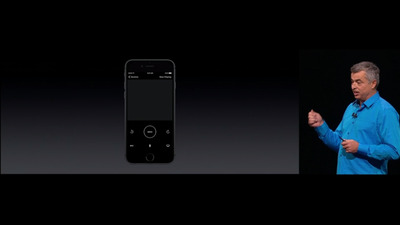 Here's what the new Remote app looks like. Your iPhone has all the same motion controls (see: accelerometer and gyroscope), touch capabilities, and Siri support as the physical remote control. 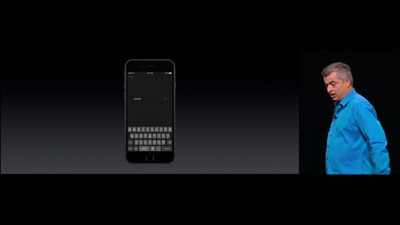 You can also enter text with the keyboard. It looks pretty great. Siri can also search YouTube! This will be a big time-saver. 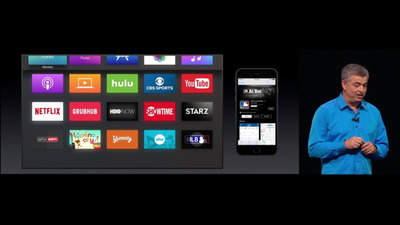 For all the apps that have live TV, Apple has a nice feature called 'live tune-in.' Just say 'Watch ESPN2' or any live TV app and it will automatically play what's on. 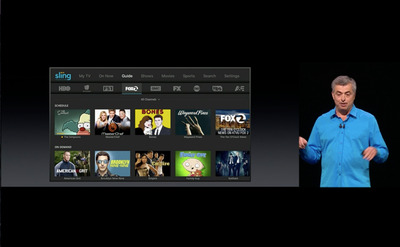 'Live tune-in' works with all of these channels, and this feature will also work on iPads, in addition to the Apple TV. 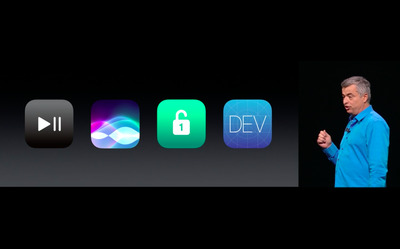 Apple is also making it easier to authenticate new Apple TV apps. Usually, to activate a new app or channel, you'd have to open a web browser on a separate computer, authenticate the app with the code provided on the screen, and do this process for each and every app. No more! Introducing single sign-on. 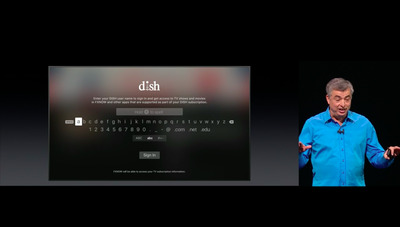 Just sign in once on your Apple TV and you'll get access to all your network apps. 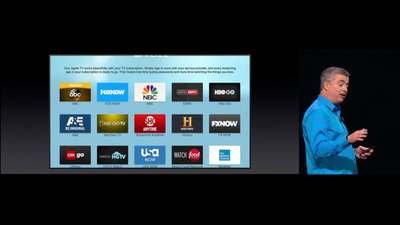 Even better, a page on the App Store will show you all the available live TV apps you can download. 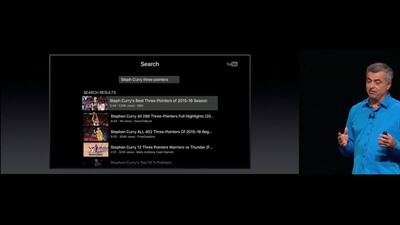 Here's another cool new feature: Are you ever watching your Apple TV at night and wish the interface was darker? 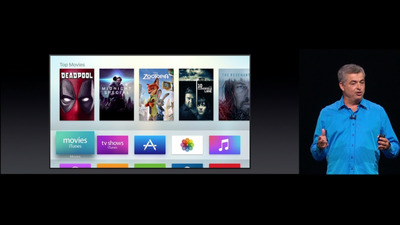 It's also now much easier to get new apps on your Apple TV. 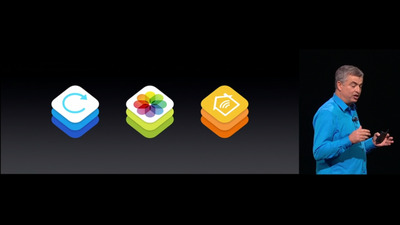 Whenever you download a new app to your iPhone or iPad, any corresponding Apple TV apps will automatically download as well. 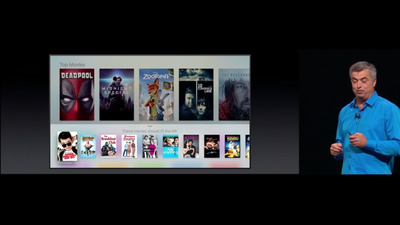 Apple TV developers also got some goodies too. 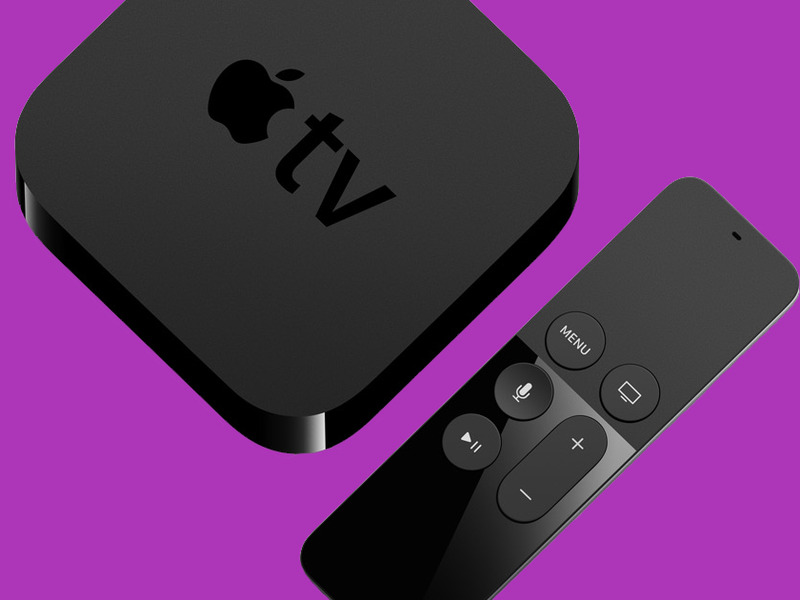 Now you can build Apple TV apps that live broadcast gameplay, save videos to share later, access your complete photo library, or control all your devices around your home. 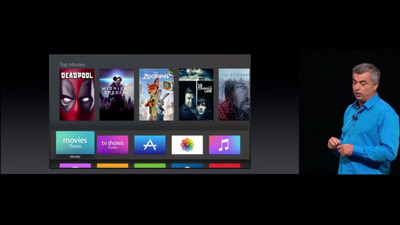 The new version of tvOS rolls out for customers this fall.